Retirement and life insurance aren’t commonly thought of together, yet that is exactly what the survivor annuity is. The FERS survivor annuity (SA) is an option that FERS employees can elect on their retirement paperwork. Why is a survivor annuity like life insurance? The main purpose for a survivor annuity is for married FERS employees to have the option to leave an income stream to their surviving spouse. In other words, you can leave a benefit at your death (sound familiar?). The reason for the SA is quite simple – many spouses can’t afford to lose an income of $2,000 a month (I will repeatedly use the example of a $2,000 monthly FERS annuity in this article). This is a VERY important subject (albeit not the most pleasant to discuss) and an important conversation to have. There are actually three options on your retirement paperwork regarding your SA choice. If you don’t choose a survivor annuity, your paperwork has to be signed and notarized by your spouse. The only thing your spouse would receive under this option is a refund of any unused FERS deposits (The total of the 0.8% you paid in minus the total of FERS benefits received). If you don’t choose a SA then your spouse cannot continue Federal Employee Health Benefits (FEHB) after your death. The partial SA will reduce your annuity by 5% in return for a spousal benefit of 25% at your death. Using our example of a $2,000 annuity, the federal retiree’s FERS annuity would be $1,900 a month and guarantee that their spouse will receive $500 a month (if the spouse is still living after the federal employee’s death). Your spouse’s signature and notarization are required for the partial annuity as well. The partial SA does allow your spouse to continue FEHB after your death. The full SA will reduce your annuity by 10% in return for a spousal benefit of 50% at your death. Going back the example of $2,000, your FERS annuity would be $1,800 a month and your surviving spouse would receive $1,000 a month after your death. A great deal of talk about death and dying here, but what happens if the federal employee outlives the spouse? First, the federal employee needs to notify OPM of the spouse’s death in order to get your annuity changed back to 100%. You will not get the 5%, or 10% back that you paid in for the survivor annuity. Any past reduction in your FERS annuity will be lost. Another important aspect of the survivor annuity is that there is a default COLA associated with it. Since FERS annuitants over age 62 receive a COLA on their annuity, that means that the survivor annuity will increase along with that COLA. As the FERS annuity increases, so does the survivor benefit. This is both good and bad – yes, the survivor annuity will increase each time you receive a COLA but so does the cost. For example, a full survivor annuity costs a retiree 10% of their FERS annuity and 10% of $2,500 is less than 10% of $3,000. Is life insurance a good replacement for the survivor annuity? As is the case with many financial questions, it depends on a few factors. The first question to answer is whether or not your spouse depends on your health insurance. I would guesstimate that this is the case with 90% of federal employees, and if so then you must elect a survivor annuity. In this scenario, the most you could do is look at getting life insurance to cover over and above the partial SA. Something else to consider is taxes. The cost of the survivor annuity is not taxed, but the premiums for life insurance are made in after tax dollars. The opposite is true of the benefits of each. Survivor annuities are taxable income and life insurance proceeds are income tax free. The age and health of each spouse needs to be considered as well. If your spouse is 10 years older and in bad health, life insurance may be a good fit versus the SA. If you are 10 years older than your spouse, then the SA sounds like a good deal because your insurance costs may be high and your spouse will likely outlive you and benefit from the guaranteed SA. Is leaving money to your kids a priority? If so, then life insurance could be a good fit since it will pay out at your death regardless of who outlives who. This is not the case with the survivor annuity. The survivor annuity is only around for a maximum of your lifetime and your spouse’s lifetime. 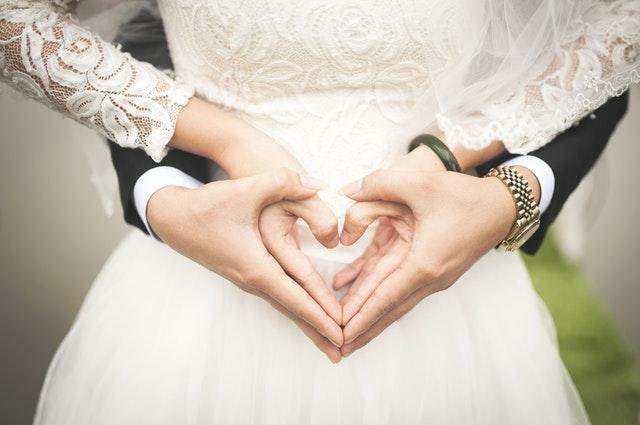 If you are single at retirement and get married later, there are options for adding your spouse to your benefits and electing a SA for your new spouse. You must notify OPM and they will help you through the details. The survivor annuity is no different than any other retirement decision – it is going to take a little thought and analysis to make the best decision for you and your family. Survivor annuity elections are one point of analysis in our financial plans with federal employees. If you would like to discuss putting together your own plan you are welcome to set up an introductory call.